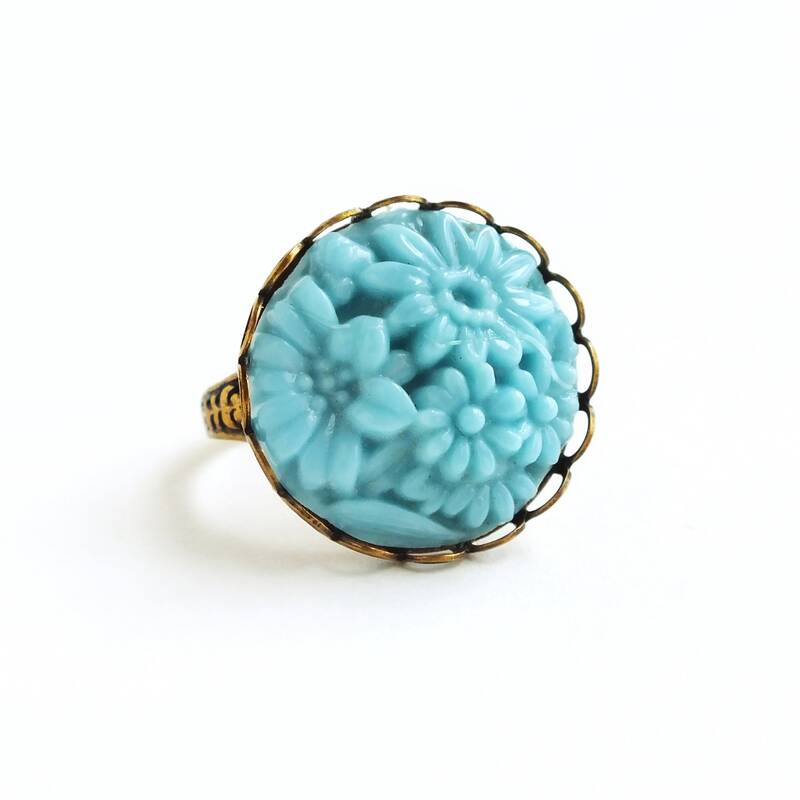 Handmade turquoise floral glass ring with vintage carved glass flower cabochon. 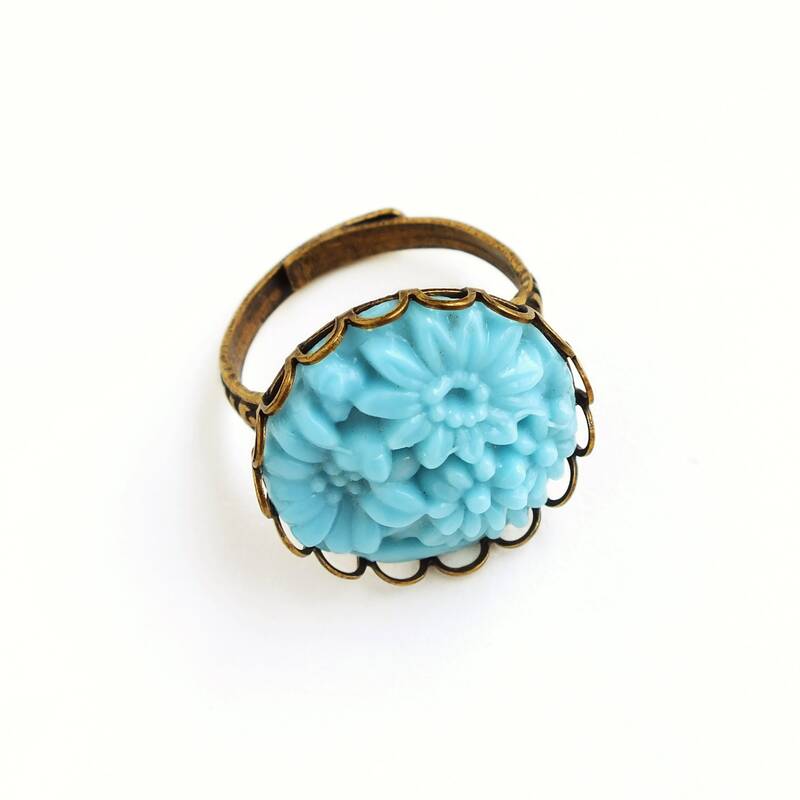 New US made setting and adjustable brass ring. 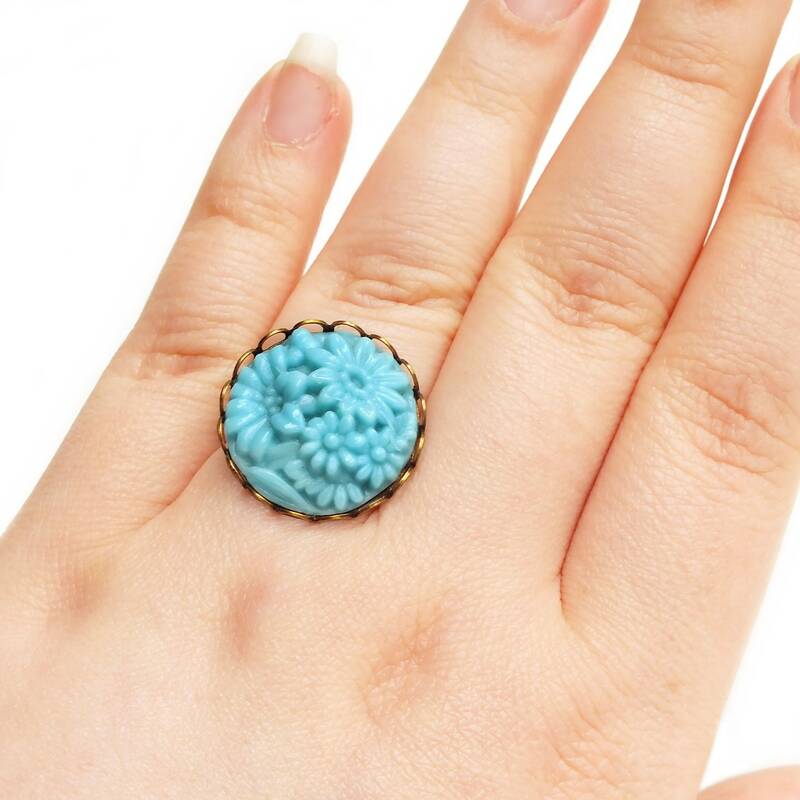 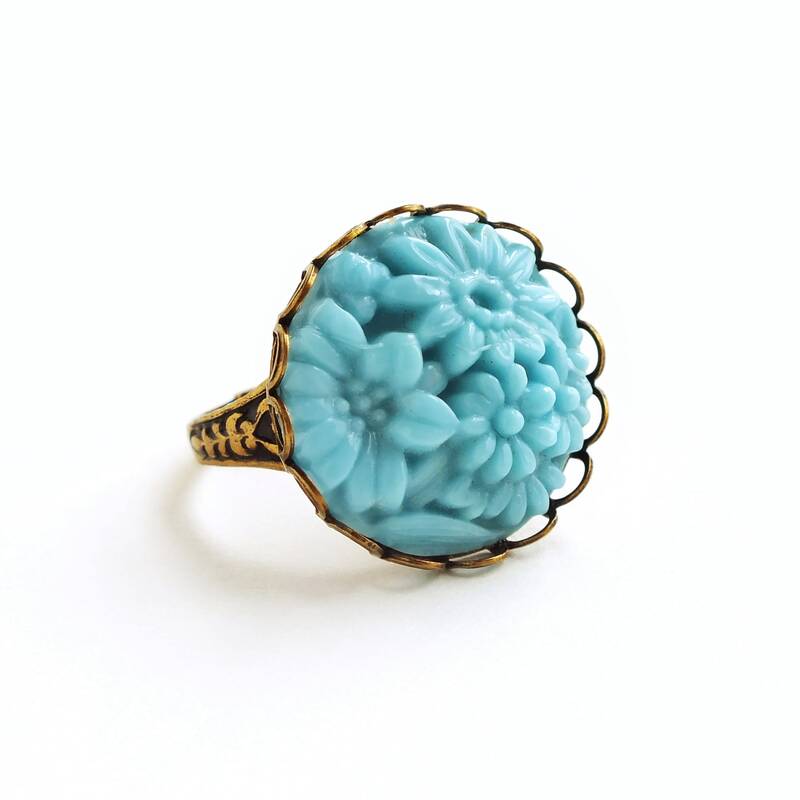 Chunky floral ring made with an exquisitely detailed vintage turquoise glass cabochon bursting with carved dimensional flowers. 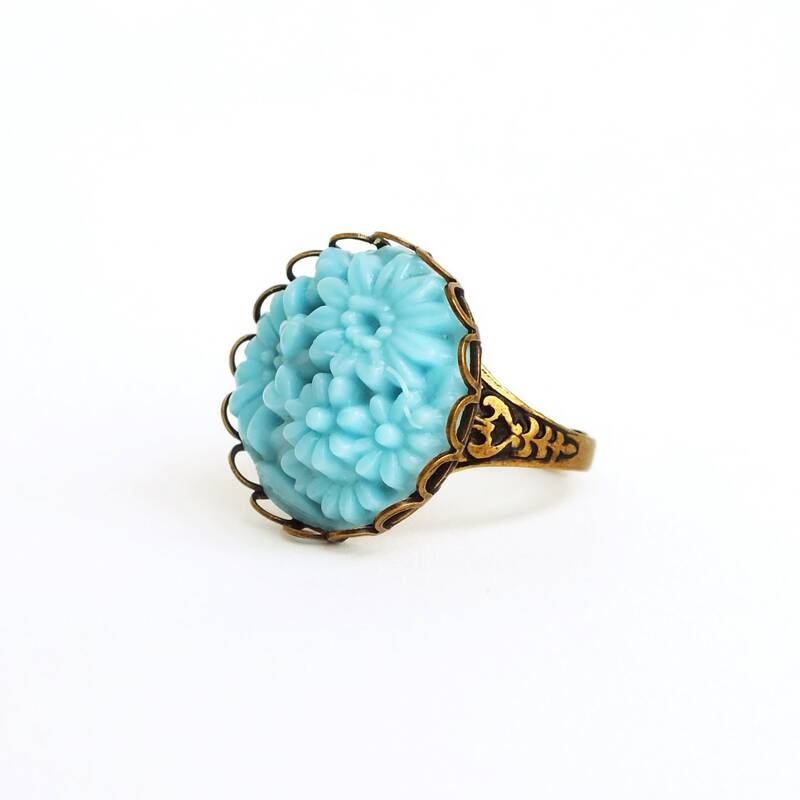 I set it in a lacy antiqued brass setting secured to an adjustable antiqued brass Victorian style ring.